Subscribe to Council's e-news and stay up to date with what's happening around Townsville. You can choose from a variety of topics - subscribe to one or all! If you are already subscribed to a council eNewsletter and want to know how to update your preferences, follow our instructions here. The latest news, events, reports and happenings in your city. Receive regular updates on events, exhibitions, theatre shows, festivals and much more! 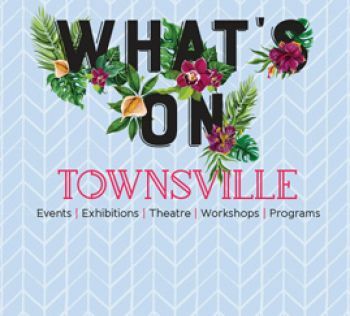 Sign up to find out what's on at the Townsville Civic Theatre and Riverway Arts Centre. Regular updates from CityLibraries Townsville highlighting news, events, workshops and resources. Get the latest news in the field of sport, recreation, health and fitness delivered directly to your mailbox. Find out what's happening at Townsville City Council Galleries - Perc Tucker Regional Gallery in the city and Pinnacles Gallery at Riverway. Quarterly newsletter keeping you up-to-date with Townsville’s major projects and investment opportunities, as well as useful information and news for council’s Planning and Development Industry customers. While we always try to ensure the information we publish in our e-newsletters is accurate, the information is subject to change. Council is not responsible for any loss or inconvenience arising from the use of our e-newsletters or social media channels. Similarly, links to external websites and other social media accounts are provided as a convenience to users and such sites and associated content may not be under the control of the Townsville City Council and the use of these respective third party links does not imply endorsement of that website, service or person by council.